May Sarton was a prolific author who was long considered by her very loyal readers to be a gifted and sensitive writer of poetry, novels, and journals. May Sarton is the pen name of Eleanore Marie Sarton (May 3, 1912 - July 16, 1995), an American poet, novelist, and memoirist. Her parents were science historian George Sarton and his wife, the English artist Mabel Eleanor Elwes. May Sarton is the pen name of Eleanore Marie Sarton (May 3, 1912 – July 16, 1995), an American poet, novelist, and memoirist. Sarton was born in Wondelgem, Belgium (today a part of the city of Ghent). Written over a period of twelve months, May Sarton's Journal Of A Solitude (1973) is a meditation on life, living alone, romantic love, and the creative process. 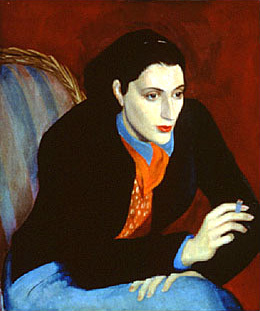 May Sarton (May 3, 1912 – July 16, 1995) born Eleanore Marie Sarton, was an American poet, novelist, and memoirist. Born in Belgium, her family moved to Boston, Massachusetts in 1915 after briefly living in England. *I wish to thank Carolyn Heilbrun, May Sarton's literary executor, for approving the online publication of this piece. I also want to thank Mary Mark, creator of the site "Celebration of Women Writers" for affording me the opportunity to contribute to the Sarton entry.